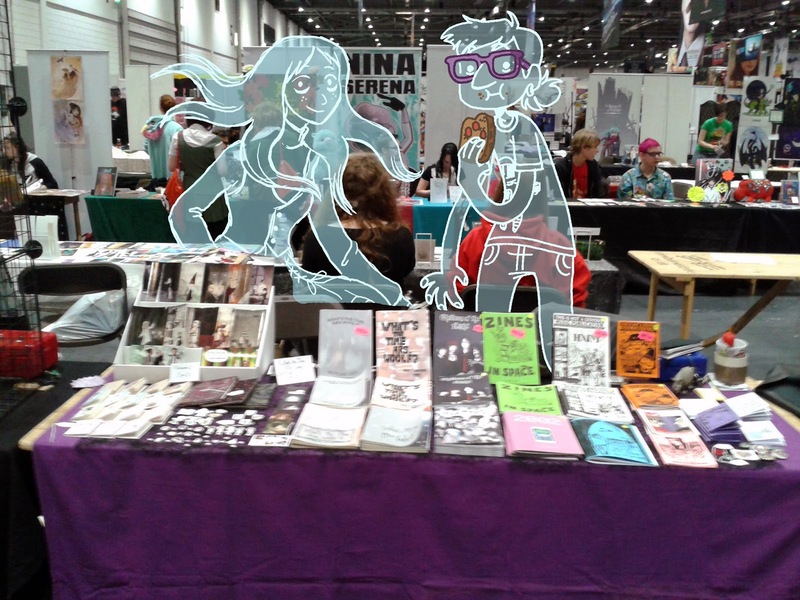 Sarah Fogg and I had a really great time at London MCM Expo last weekend. We drew Halloween themed portraits on all our event photos in October. Thank you to everyone who stopped by our table or bought comics. I'm excited about going to Thought Bubble already. The convention is happening on the 23rd-24th November in Leeds. 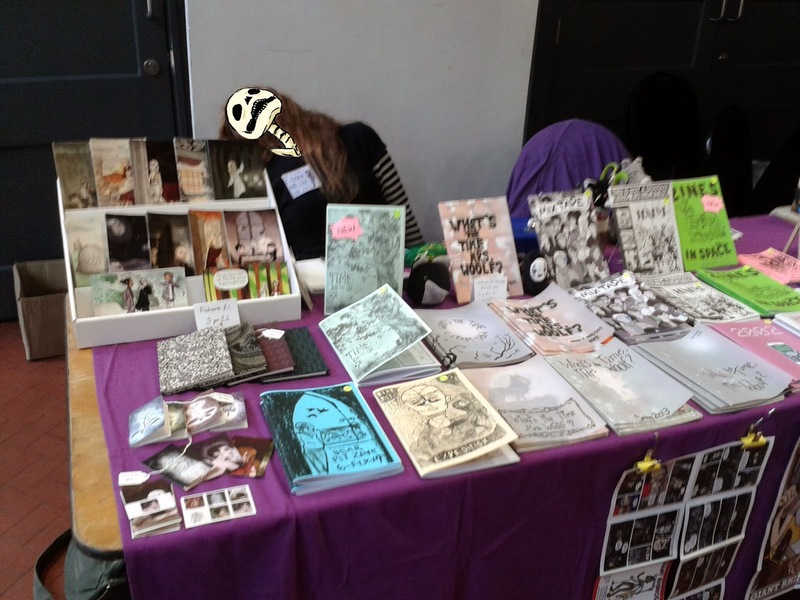 Inspired Comics Collective will have a table in the Allied London Hall. There will be 3 halls for the first time this year. 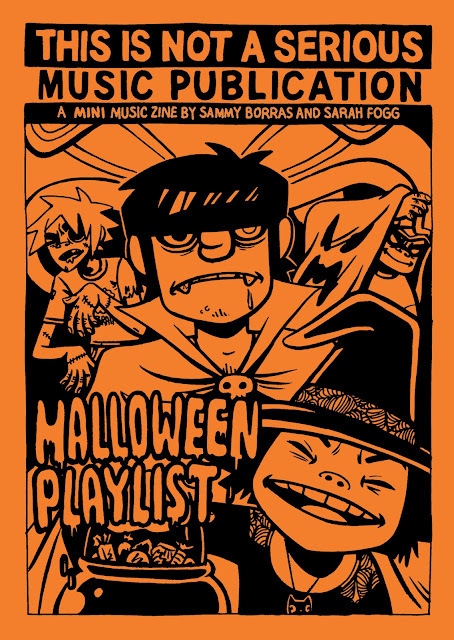 In october I made a new mini (A6) music zine with Sarah Fogg. We picked out 12 Halloween songs and then illustrated 6 each. 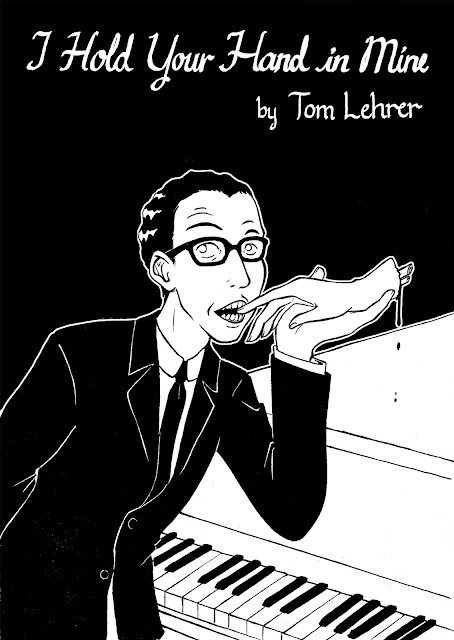 (Everything Everything and Tom Lehrer preview illustrations are by Sarah) The zine is available to order online through my Etsy Shop. 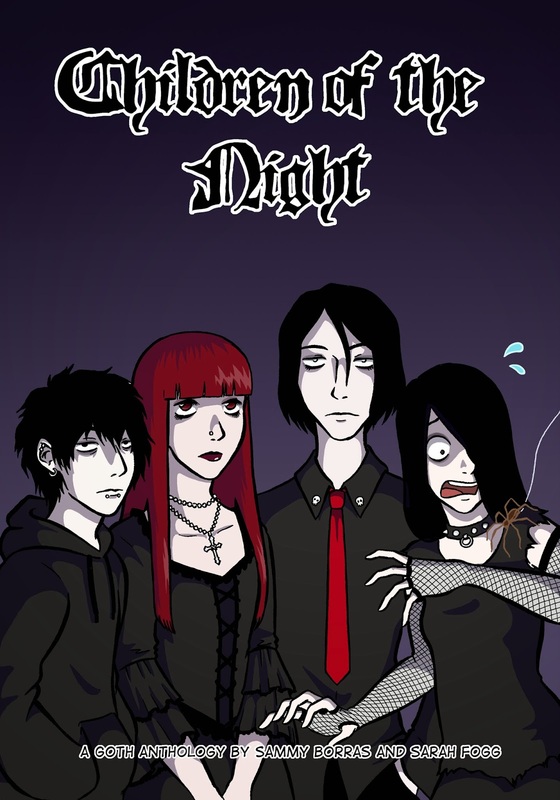 Children Of The Night is a new Goth themed anthology I created with Sarah Fogg. 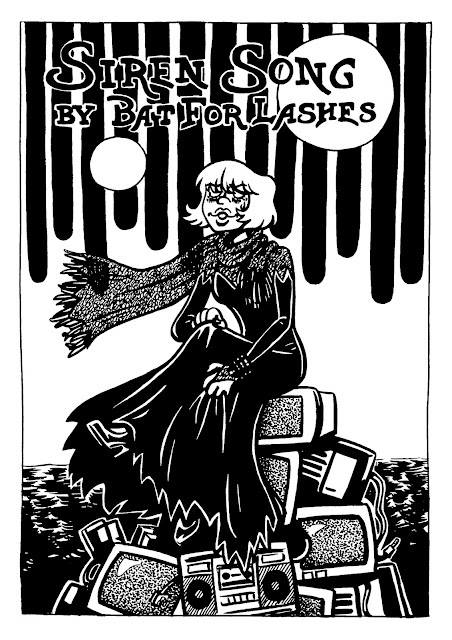 We both contributed 3 short story comics each and the cover was illustrated by Sarah. I have listed the anthology on my online Etsy Shop and we will be launching them at London MCM Expo this weekend. You can find the Inspired Comics table in the Comics Village section of the event. Sarah Fogg and I had a good time at the University of Gloucestershire's Small Press Fair at the Cheltenham Literature festival. Thank you to everyone who stopped by our table over the weekend. What's The Time Mrs. Woolf? 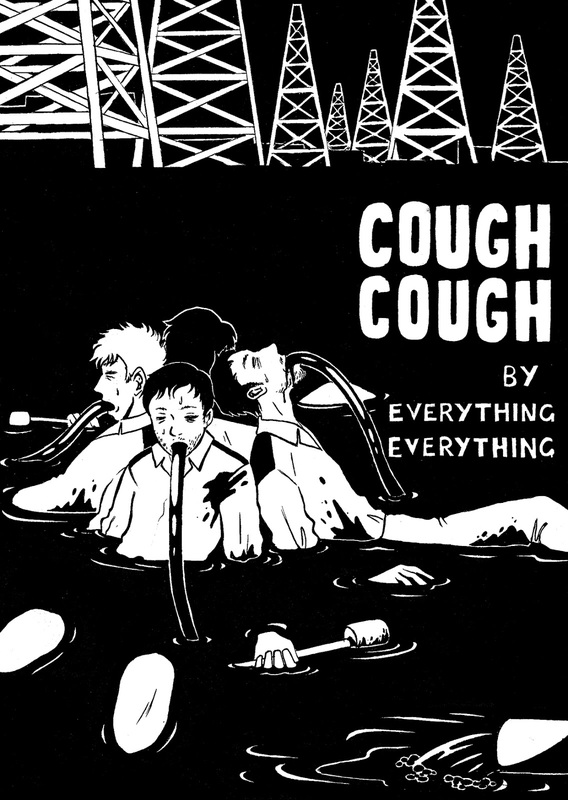 Autumn 2013 was released at the weekend. 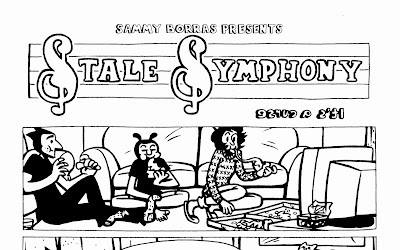 I submitted a 3 page Stale Symphony comic called It's A Curse. 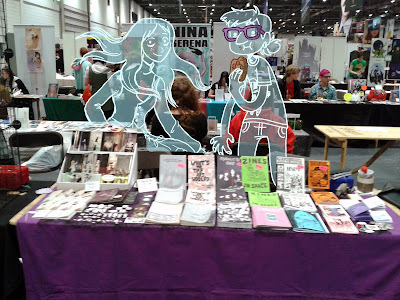 Sarah and I will be at London MCM Expo from Friday 25th until Sunday 27th October. 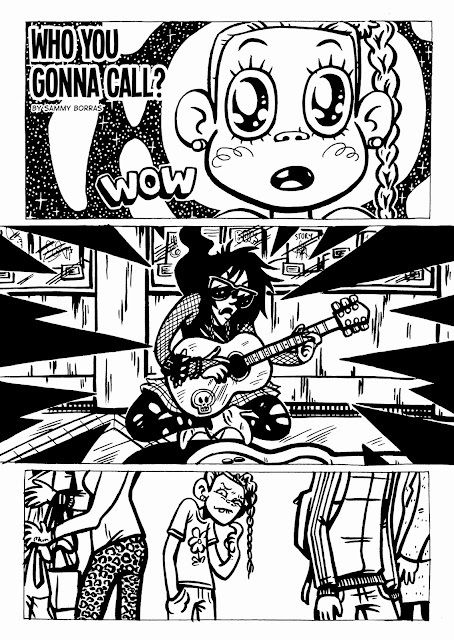 You'll be able to find the Inspired Comics Collective table in the Comics Village area of the event. I had a fantastic time at the Bristol Comic and Zine Fair with on saturday. 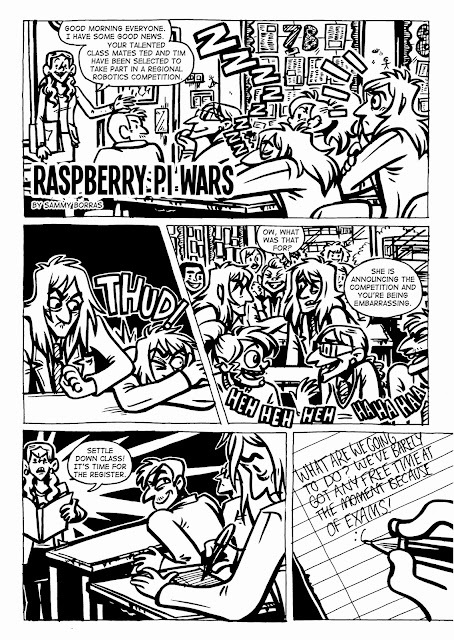 I shared the table with Inspired Comics Collective, quarterly zine What's The Time Mrs. Woolf? 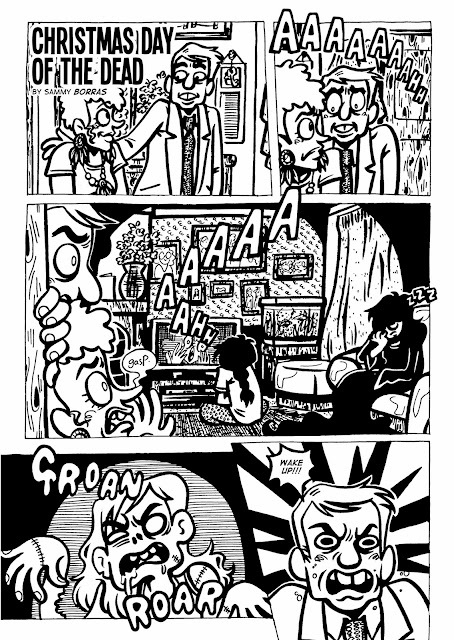 and Sarah Fogg. 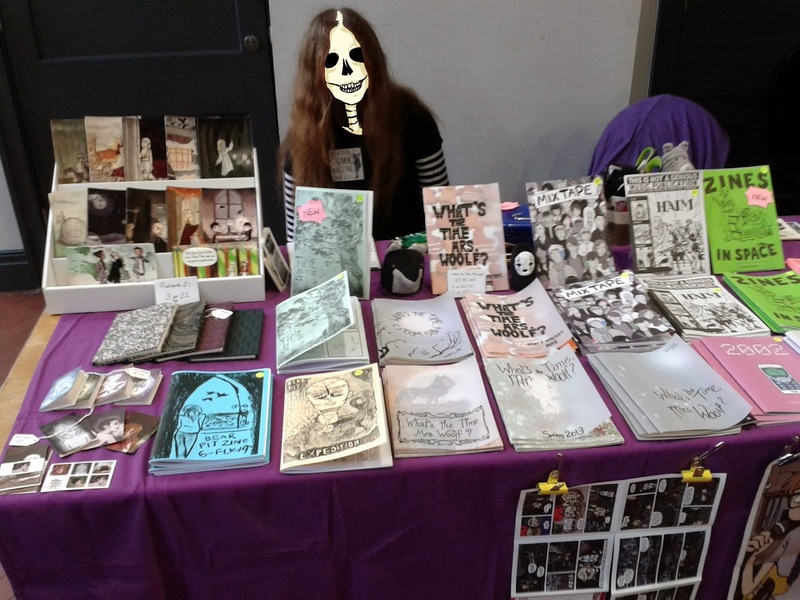 Thank you very much to everyone who came by our table for a chat and comics. We'll be at 3 events over october so we thought we'd add some spooky elements to our photos this year. The photoshoping this time is by Sarah Fogg. 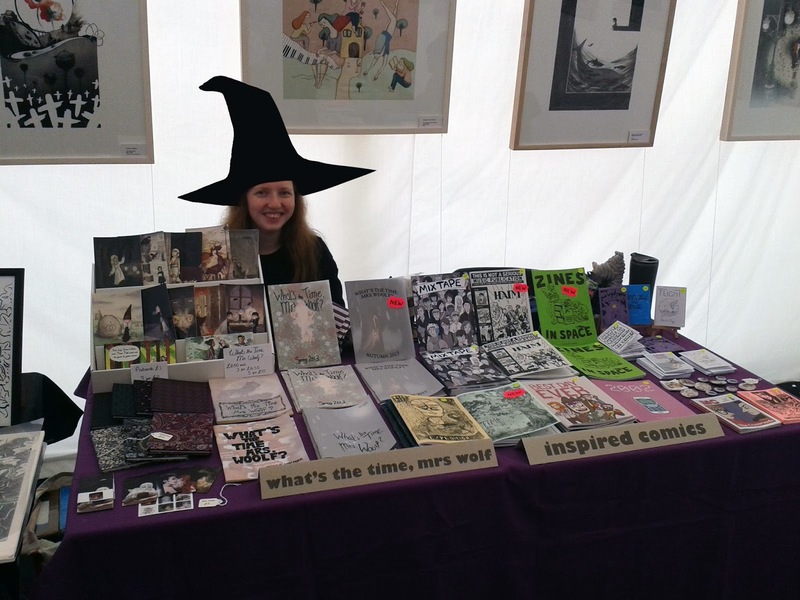 This weekend the University of Gloucestershire is holding a small press fair. 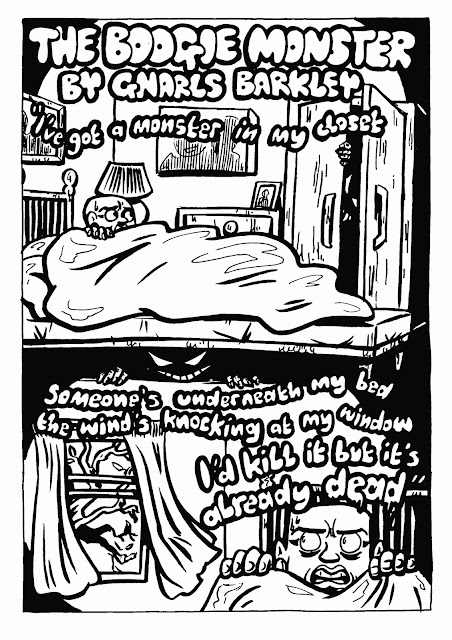 It will be in a marquee in Imperial Square, Cheltenham. The literature festival is also on all this week so there should be more to see than just the art fair. 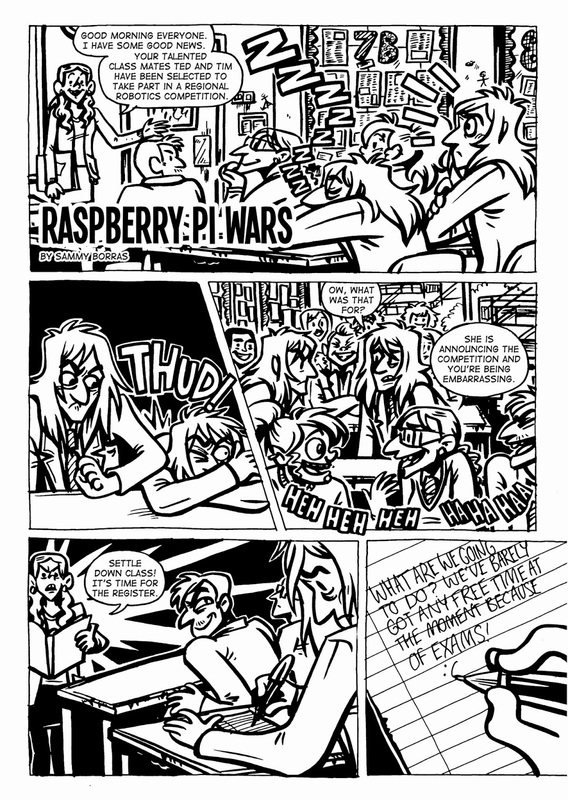 We are also handing out free mini comics at every event. The secret password is 'Do you have a business card?' but hopefully we will have passed you some before you need to use that.